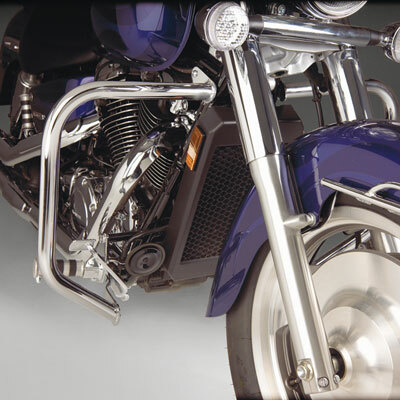 1 1/4" HIGHWAY BARS - Honda VT1100 Sabre 2000-2008. These chrome steel tube bars can accommodate our 1-1/4" clamps to mount cruise pegs for added riding comfort. Mounts to existing holes in the front frame with hardware provided. Bars only extend as far as the pegs on the bike.